On March 18th, according to the Department of Labor’s Office of Labor-Management Standards, Vincent D’Acunto, former Secretary-Treasurer of United Food and Commercial Workers (UFCW) Local 2D (located in Brooklyn, N.Y.), pleaded guilty to racketeering conspiracy in the United States District Court for the Southern District of New York (SDNY). D’Acunto’s guilty plea came one week after Frank Cognetta, former Secretary-Treasurer of United Food and Commercial Workers (UFCW) Local 1D (located in Brooklyn, N.Y.), also pled guilty to racketeering conspiracy in the U.S. District Court for the Southern District of New York (SDNY). 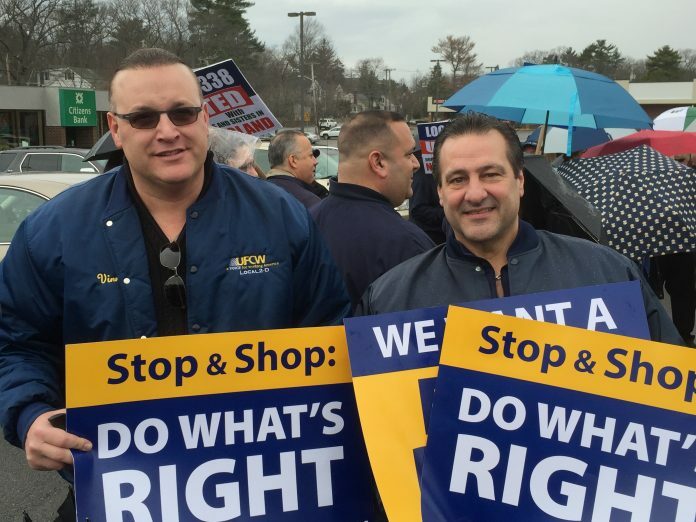 D’Acunto, on the other hand, conspired with Steven Arena and Vincent Esposito, plus four reputed Genovese made men and extorted annual cash payments since the early 2000s from a then-unnamed UFCW Local 2D officer by threatening that individual with violence and a loss of employment if the cash was not forthcoming. That unnamed UFCW officer was reportedly Vincent Fyfe, the President of UFCW Local 2D.